The domaine and its 30 hectares of vines are located in the Southwest of France, 5 km from Limoux. For 50 years the Domaine has been crafting sparkling wines under the AOC of Blanquette and Cremant de Limoux. It is recognized as one of the best quality producers in the region and the wines are consumed locally as well as in export markets. As of 2003, Cremant de Limoux made with Pinot Noir has been permitted under AOC appellation laws. 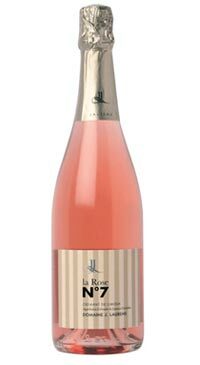 At that time, the producer J. Laurens began producing their first Crémant Rosé in 2007 to much success. This Crémant Rosé is a blend of 60% Chardonnay, 25% Chenin Blanc and 15% Pinot Noir. It is light cherry in colour with upfront raspberry aromas. The palate is soft and creamy with delicate red fruit flavours. Fine bubbles and a creaminess of strawberry campino on the palate. This sparkling rose is the perfect bottle to pop in celebration of just about anything.